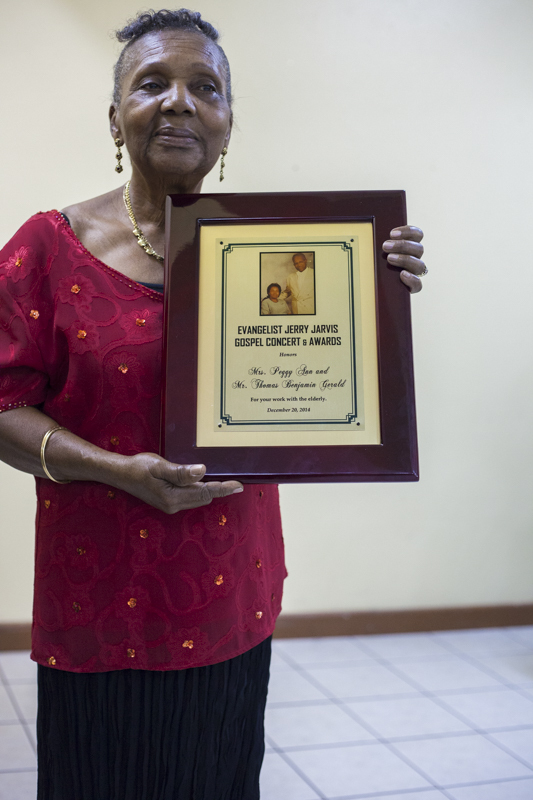 Evangelist Jerry Jarvis, who for past several years produced the annual “Jerry Jarvis Show” in which he honours and awards the elderly, senior citizens, their carers and others. At the bi-annual Jerry Jarvis Concert and Awards the Honourable Premier, Mr. Donaldson Romeo, who was a presenter, appointed Jerry Jarvis an Ambassador in the Diaspora. The Evangelist is a man who is extremely passionate about the status of the elderly in Montserrat. He is known for shipping wheel chairs and other needed materials for the elderly of Montserrat. Every two years he would host a concert free of charge where he would bring in top gospel artists from around the world to minister here. What he also does is to seek out in our community, people who care and work with our elderly and show case them to the world and award them for the high work they do. Requesting popular Montserratians to present awards are part of the idea to bring excitement to those receiving. Past presenters have included Rose Willock, Barrister at Law Mr. David S. Brandt, former Chief Minister Dr. Lowell Lewis, Governor Mr. Adrian Davis, former Premier, Mr. Rueben T. Meade, publisher of The Montserrat Reporter, Mr. Bennette Roach, Bishop Dr. Melroy Meade, and from Bank of Montserrat Miss Valerie Daley. 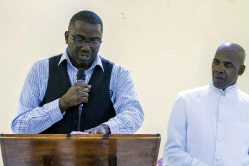 This year’s presenters were the Honourable Premier Mr. Donaldson Romeo, ZJB Senior Announcer, Mr. Basil Chambers, and Mr. James White, Jr., Executive Director GIU/ZJB. Those honoured were Miss Matilda Farrell, Miss Doris Murrain, and the husband and wife team Mrs. Peggy Ann and Mr. Thomas Benjamin Gerald. The evening was a warm and full of royalty. So many turned out to be a part of the fun filled evening. Jerry Jarvis, who was his own host had the crowd in stitches with his heavenly humour. Bouquets of flowers were presented to three elder citizens; 94 year old Miss Emmie, 100 year old Miss Elizabeth Ryan and 103 year old Miss Alice Kirnon. These flowers, presented while they are still living, were presented by three prominent Montserratian ladies: Miss Shirley Osborne, Miss Brenda Daly and Miss Rose Willock. ZJB Radio recorded the live event and international photographer Valbourn Galloway captured the event on camera.